Picture of the Houses of Parliament. The Palace of Westminster incorporates The House of Commons, The House of Lords and Westminster Hall. Big Ben is one of London's best-known landmarks. The four dials of the clock are 23 feet square, the minute hand is 14 feet long and the figures are 2 feet high. The name Big Ben actually refers to the thirteen ton bell hung within the tower. 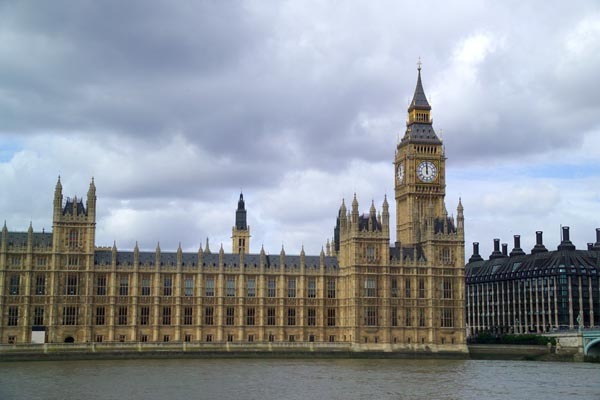 VIEW: More images from the category Houses of Parliament or around the same time .